As details unfold about the life of James Eagan Holmes, the suspect in the Aurora, Colo., movie theater shootings, many are puzzled by the 24-year-old’s apparent lack of a digital footprint. People who knew James Eagan Holmes when he was growing up in San Diego were shocked by the news of the deadly movie theater attack. 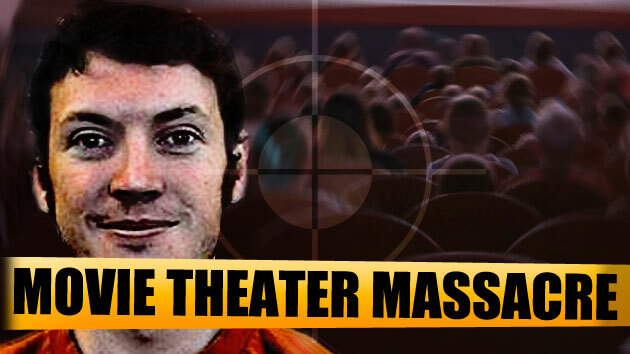 “I am not a 24-year-old gun-slinging killer from Aurora,” James P. Holmes wrote on Facebook on Friday morning. Holmes is a Denver man who shares first and last names with James Eagan Holmes, the suspect in the deadly shooting that took place at a midnight screening of the latest Batman movie just hours before. As the investigation got under way in the shooting at the “The Dark Knight Rises” premiere, in which 70 members of the estimated 300-seat crowd were killed or injured, those looking for clues to make sense of it all went online for a digital footprint of the suspect — to no avail. It appears that the suspect Holmes is not on any social networks — at least not under his legal name. Yet the picture of Holmes that has been painted is not much different than that of a typical, perhaps disenchanted, college student. This is what we know about James Eagan Holmes: He graduated with a bachelor’s degree in neuroscience from the University of California, Riverside, and was about to drop out of graduate school at the University of Colorado, Denver. The reasons why Holmes would get dressed in all black, a ballistic helmet, and tactical gloves and walk into that AMC Theater early Friday morning and open fire on innocent people remain a mystery. If he was on Facebook, we might know what’s been on his mind, what he had for dinner, or how he spent the Fourth of July, offering insight into his mental state ahead of the events, but Holmes is not found on that social network, or on Twitter. He doesn’t have a Web site or a blog. Unconfirmed reports late Friday allege that he may have been on the dating site AdultFriendFinder.com, not a forum most would choose to connect with friends, family, or the greater public. The fact that Holmes is not online perplexed denizens of the Internet throughout the day, invoking some to message people with similar names, create fake Facebook profiles, and even write articles pondering why Holmes presented no presence online. Mashable Editor in Chief Lance Ulanoff can’t “get over what an online ghost Holmes appears to be.” Slate staff writer Will Oremus posits that either Holmes really doesn’t have a digital footprint, or his name is so common that search results have been buried beneath Friday’s news. “It’s certainly unusual. Data suggests that 95 to 98 percent of people Holmes’ age are on social media,” Dr. Megan A. Moreno, of the University of Wisconsin-Madison School of Medicine and Public Health, told CBS News. As for that other 5 percent to 2 percent, Moreno, who has no connection to the case, highlighted a link between extreme Internet use — or lack of use — and depression. A study titled “A U-shaped association between intensity of Internet use and adolescent health,” published by the journal Pediatrics, attempted to draw a correlation between mental health and intensity of Internet use. The theory being that poor mental health may result in either heavy use of the Internet or little to none. But the lack of a Facebook account doesn’t necessarily mean the suspect was depressed. If he was pursuing a graduate degree in neuroscience, he may have limited his presence on social networks for professional reasons. After all, even with privacy settings in place, your information is still online.